I grew up thinking of today as Easter. Then I moved to the east coast, and suddenly it was called Resurrection Sunday. I’m not sure if that has anything to do with geography or if something happened in the world of politically-correct-church-speak right around the time I moved. Honestly, I don’t care what it’s called. 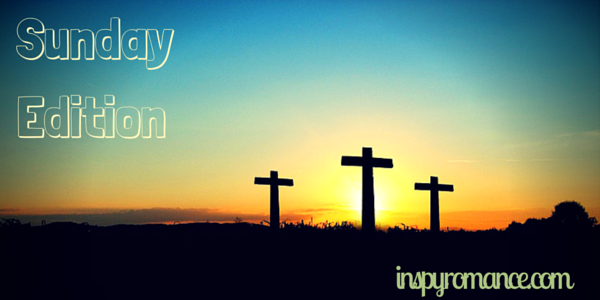 As believers, we should celebrate Christ’s resurrection all year long. It’s not the big show at church or the elaborate family meal at home that makes Easter special. It’s the sure knowledge we have in our hearts that Jesus conquered death, and that’s something we get to carry with us every day, all year long. What does your family do to help keep the focus on Christ during this time of year? Or to remind you of His resurrection during the rest of the year? The winner of the $30 February gift card is: Lisl! The winner of your choice of any of Carol Moncado’s e-books is: LeeAnn Carter Kelly! The winner of your choice of any Brides of Belles Montagnes book by Carol Moncado is: Teresa! …here are the winners from our Anniversary Giveaway. If you haven’t contacted us already about your prize, please do so at the email address above. Click here to see a complete list of what is included in each prize pack. Annalisa Daughety gives good marriage advice. Ginger Solomon shares flash fiction with our readers. Jill Weatherholt talks about spring and hummingbirds. Elizabeth Maddrey asks about first dates. Rosanne Rustand talks about stories, research, and inspiration. We have a huge Easter outreach our church does for the community. It is a free event with games, moon bounces, food, face painting, balloon animals, egg rolls. Our pastor gives a short gospel message. We help man the balloon art table, and my poor husband gets to help keep the line orderly. We did it yesterday, it was a lot of fun. My daughter drove home from college and helped too! We had an Easter event at our church yesterday that was an outreach to our community to share the gospel with them. As far as our kids go, we’ve always been really careful to focus on the cross and Jesus’ resurrection before any other way people might celebrate Easter. They know that all the other things are secondary. Easter Sunrise Service is always a meaningful experience for our family. Christ is Risen! Happy Easter! Happy Easter to you, too, Melissa! I hope the day has been a wonderful celebration of our risen Savior! We call it Resurrection Sunday (and I live on the West coast). I think for me, it symbolizes more of what Christ did for us on the Cross and makes it more meaningful. But like you said, the wording doesn’t matter so much, it should be what’s in our hearts! Nothing big goes on here, special service in the morning & reflecting on Jesus’s sacrifice during the day. A friend of my husband posted on his Facebook wall about the origin of the word Easter. It has something to do with a pagan celebration of fertility…or something like that. (I’m probably remembering it at least partly wrong.) In any event, when I read that, I thought, “Hm. Maybe that’s why some people call it Resurrection Sunday instead…” I’m like you, though. It’s what’s in the heart that matters and no label we stick on the day can change the heart. Friday is always a quiet day left for meditation. I recall when I was a kid my mom used to say: no running, no yelling, no TV, no computer, no phone, just quietly play games and read and think about Jesus sacrifice for us. It used to be really long day when I was young, but I’ve learned to enjoy the break from everyday life and it’s become my favorite day of the holidays. My husband has learned to join me in this and usually we work from home that day when we can. Or at least we plan to only work mornings. I feel like it is a prelude to Easter Sunday and makes me say really loud He is risen, He is risen indeed! when the time comes to remember.